I bet you’ve had a tough week. Lots of paperwork due right before Thanksgiving, right? 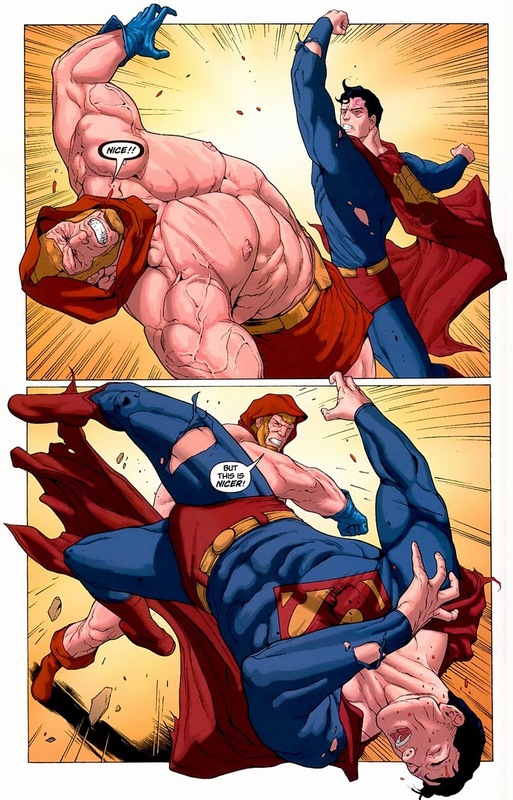 I have just the cure for your work/school blues: one insanely strong man punching another insanely strong man. It’s like UFC, but without all that heavy breathing and cage hugging. 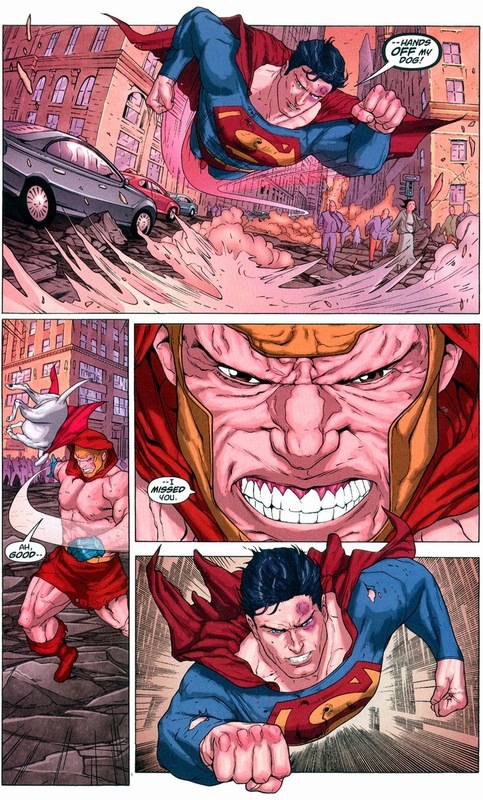 Today, we’ll check out the fight scene in Superman #677-680, written by James Robinson and drawn by Renato Guedes. Now, I’m skipping almost all manner of back story and plot. 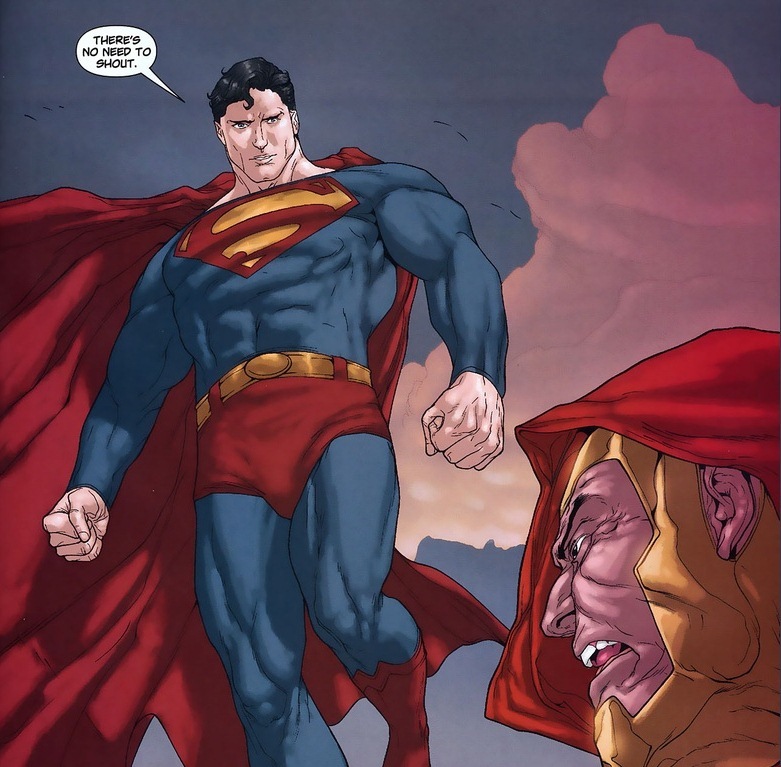 You want the reasons that a shady organization would bring an angry titan through time to battle the Man of Steel? 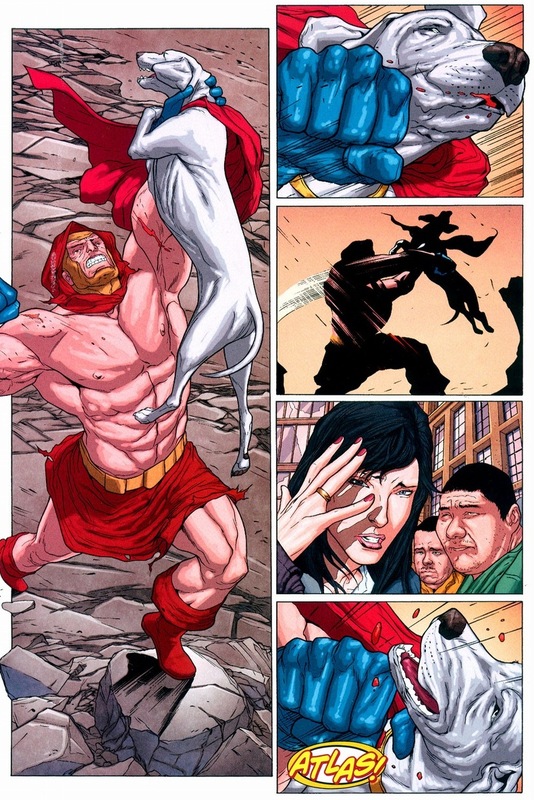 You want to know why Lois Lane is jealous that Superman’s hanging out with Zatanna? 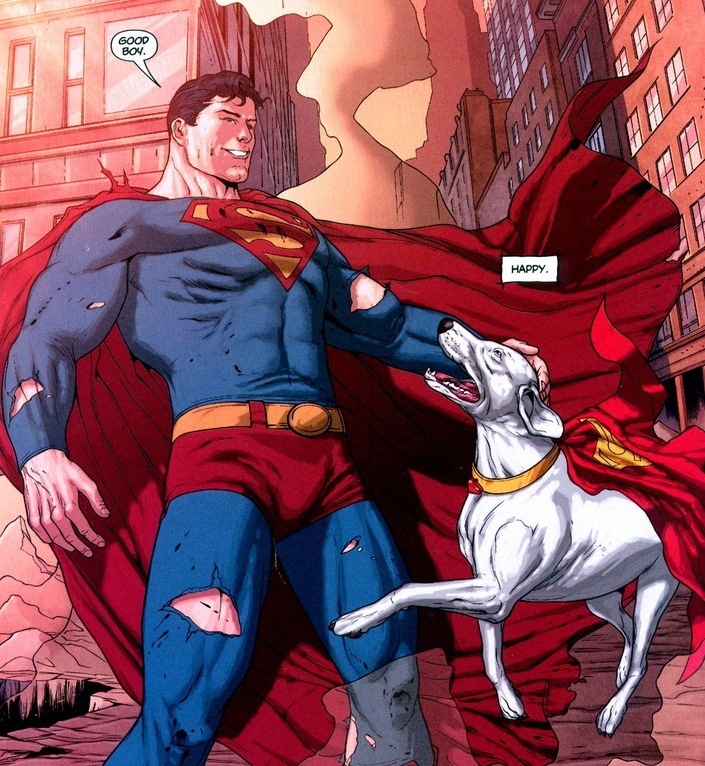 You want to see Superman and Green Lantern bond over a game of space fetch? Too bad, you have to buy the book. This article’s just about punching. Usually when muscular, shirtless men demand to see Superman, we can be pretty sure they’re not looking for ab workouts. 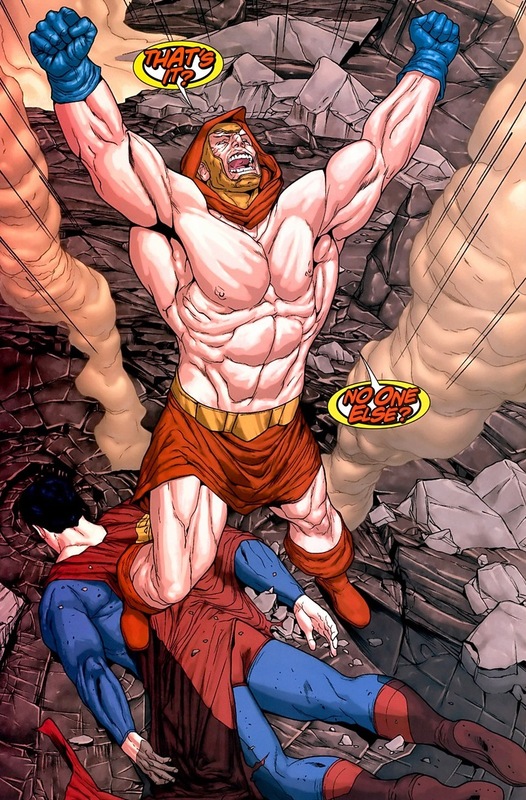 Atlas, a time traveler that has been granted Superman-esque powers, originally appeared very briefly in 1975 before being brought back for this arc. Forgive his manners, by the way. Men from three thousand years ago are always so rude. 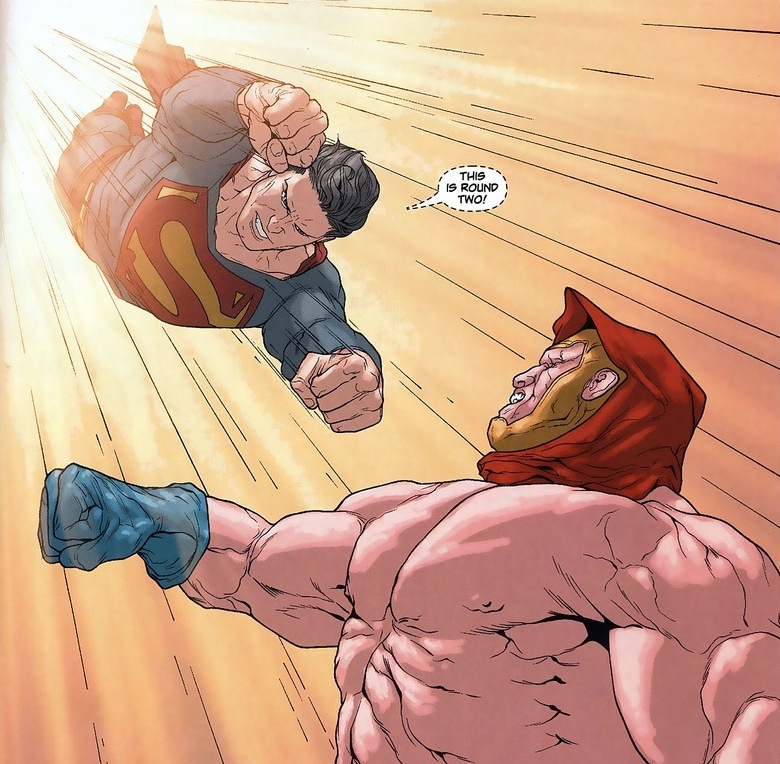 What makes this fight different than that other famous punchfest (Doomsday) briefly referenced in this arc? Magic, of course. Y’see, after exhausting every avenue for kryptonite trickery, writers had to find a new weakness. 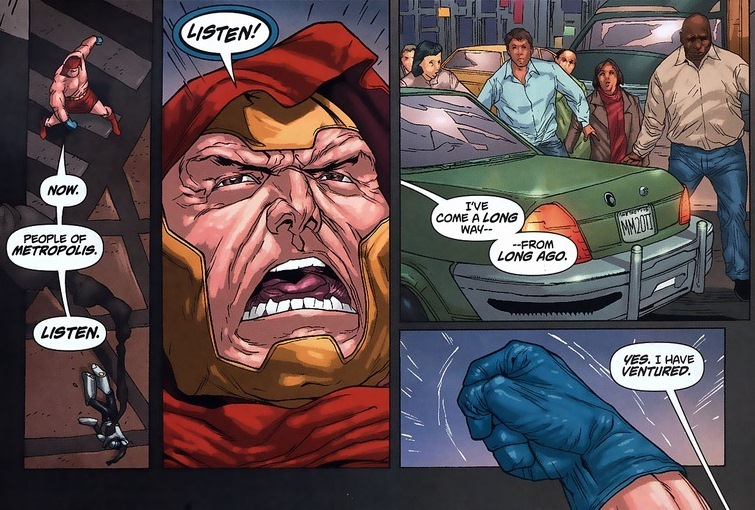 It got to the point where there’s an actual supervillain made entirely out of kryptonite. So they decided on magic, and unfortunately, Atlas is full of it. 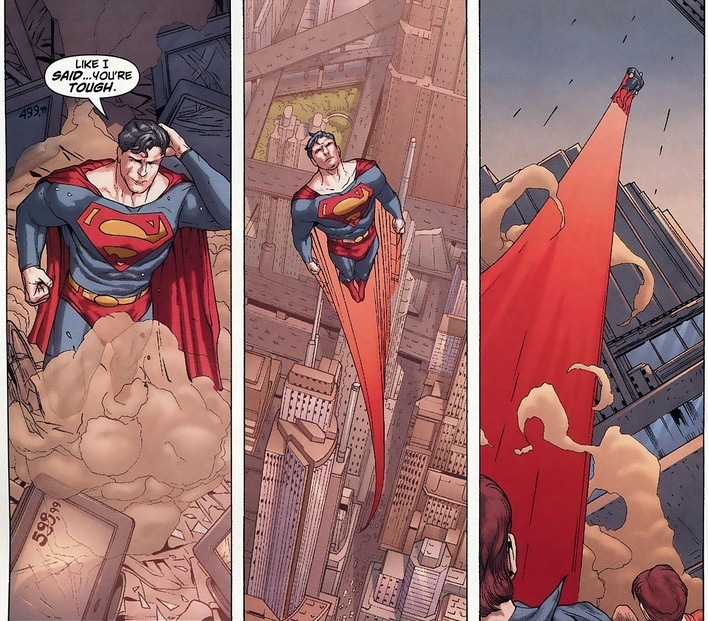 While Superman doesn’t have Batman’s intelligence or Wonder Woman’s arsenal, he does have an unwavering persistence. Usually despite overwhelming odds or forces. I guess that’s sort of in the job description for superhero. 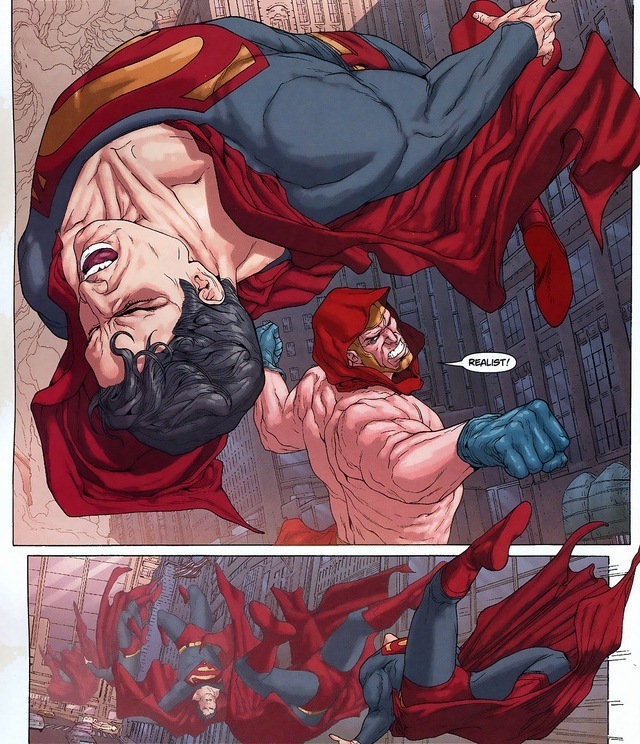 Superman can only take so much punishment. 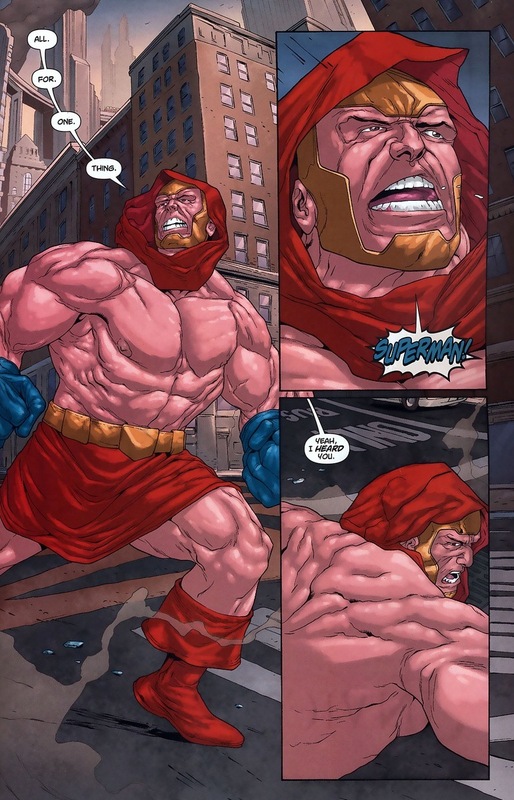 Even from a man whose outfit resembles more of a backyard wrestling team than a threatening supervillain. Is the arc over? 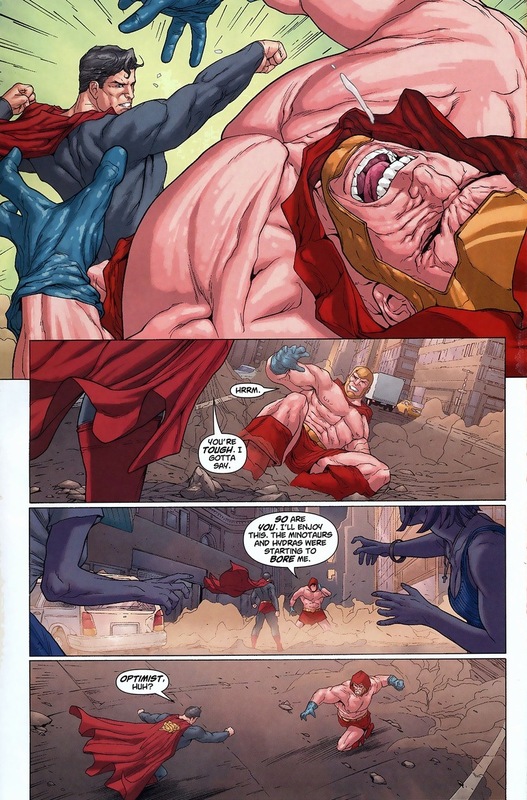 Any more challengers willing to fight the guy who just KO’d Earth’s strongest man? Well, there is one brave enough. I know the dog just talked. 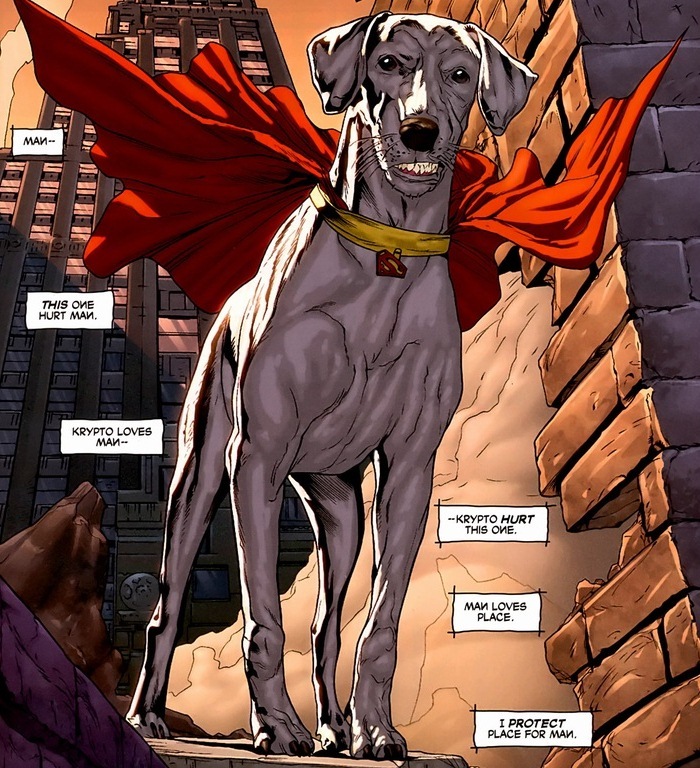 In comics decades ago, Krypto actually had a human-level intelligence. 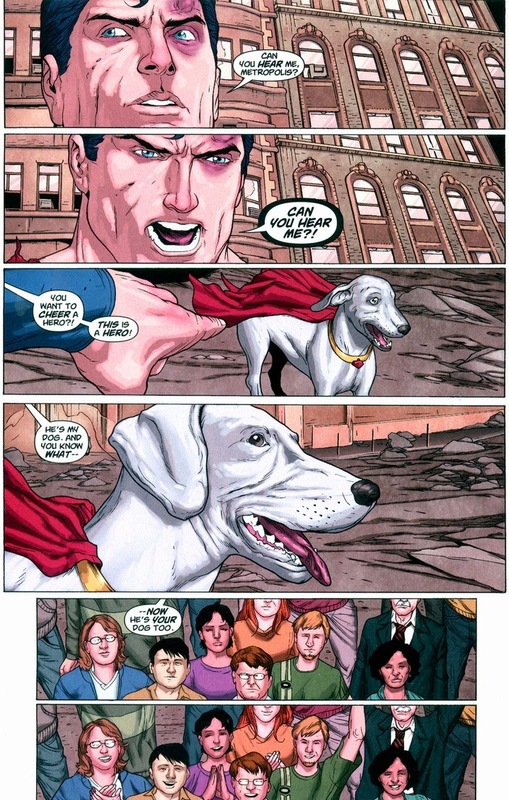 While I’m not really keen on Krypto doing things like expressing feelings or narrating text boxes, who am I to let it get in the way of a superpowered dog fight? Suffice to say, Atlas (and the reader) does not see this coming. 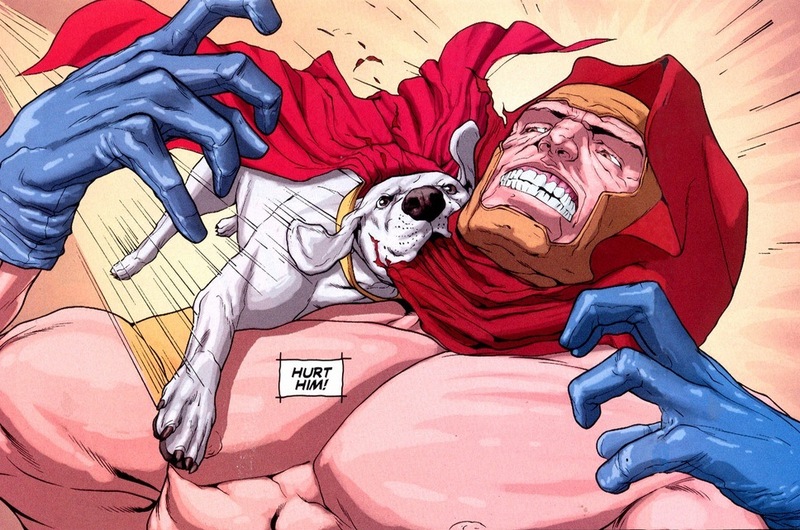 I assume most comic book readers aren’t terribly fond of animals being punched. 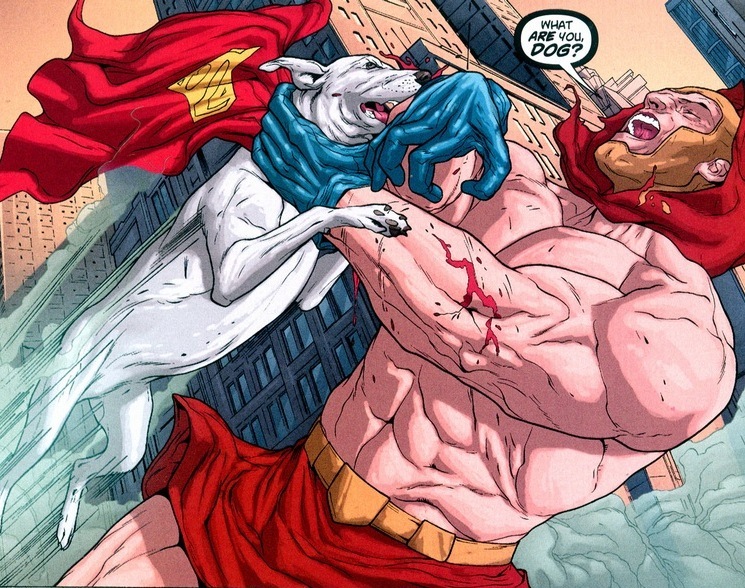 Look, Krypto getting slugged serves two practical storytelling purposes. First, if a dog is chewing on your neck, you’d probably punch it too. 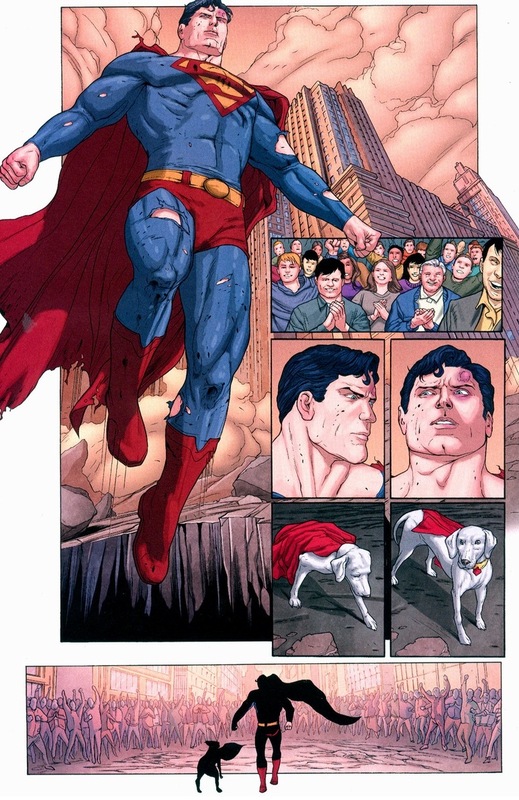 And more importantly, no one attacks Superman’s dog and gets away with it. No one. 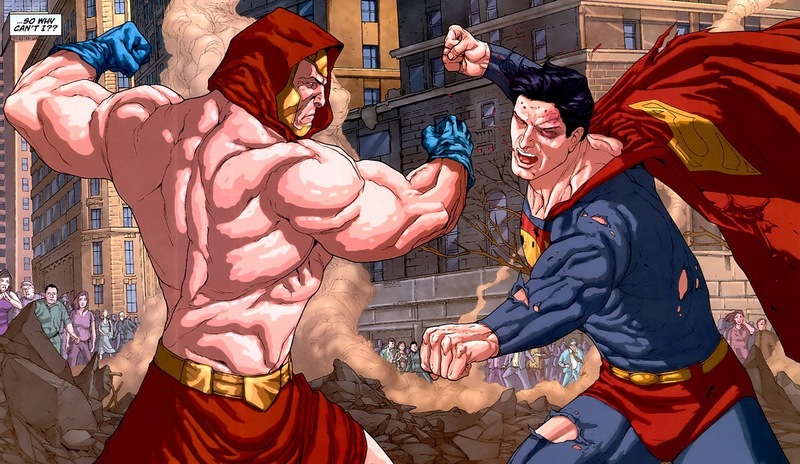 Superman wins. Of course he wins. It’d be a terrible comic if he lost. 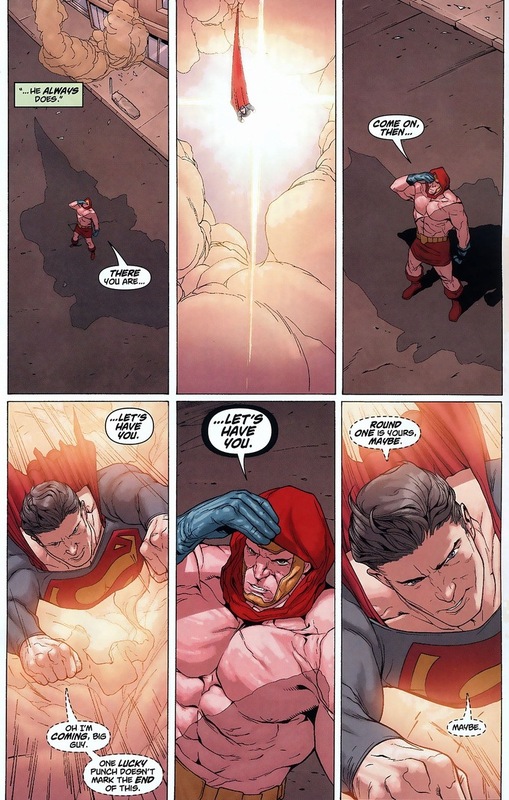 Controversial statement: Superman’s a dork. The guy’s unrelentingly cheesy and frustratingly sincere at the same time. 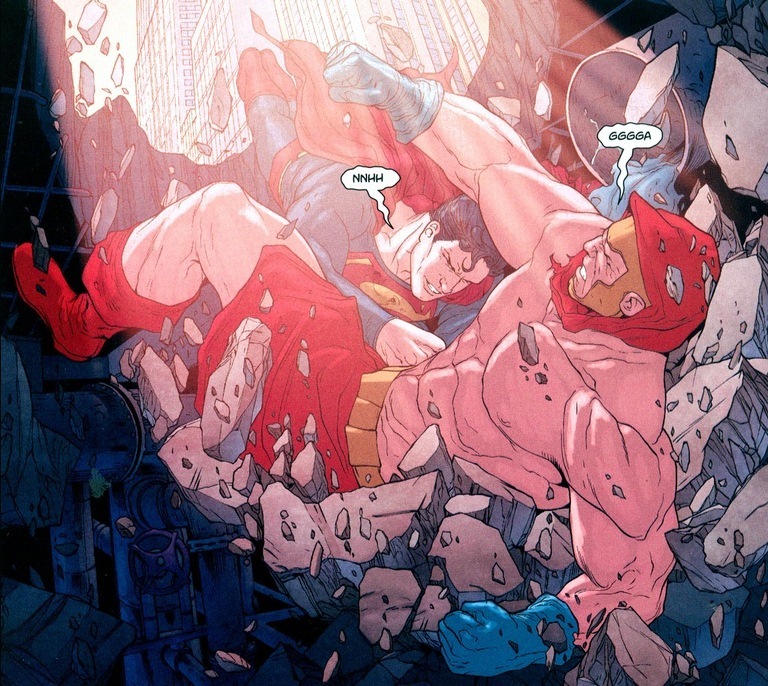 The DC universe eats it up, and none of his peers will tell him otherwise. I love it. Being the world’s first superhero has some major benefits. Someone’s getting an extra bowl of kibble tonight.